Traditional feed lines are subdivided into LIGHT, MEDIUM and HEAVY. 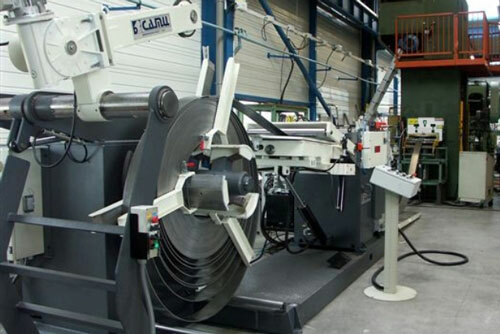 Those lines are therefore able to work thickness from 0.5 mm to 18 mm with working speeds that range from 40 to 120 m/min depending on the needs of the specific customer. Various kinds of materials can be machined, from soft ones such as aluminium and alloys, to hot and cold-rolled materials and carbon and stainless steel, and to high-strength materials and lamination steel. The combinations called “line with loop” are unquestionably the most versatile. 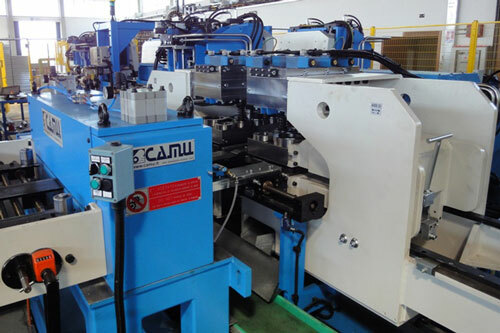 The lines are composed of three main machines, decoiler, straightener and feeder, and are ideal for working delicate materials (prepainted, stainless steel) and in combination with high-speed presses. Particularly indicated when it is necessary to protect the surfaces and prevent surface marks that could compromise the quality of the end-product. These have been studied for coils of various dimensions, widths, materials and surface finishes. CAMU can study lines in accordance with specific production needs depending on the quantity and quality of the material, even when the space is limited. These lines have been designed for treating coils with a delicate surface finish. The particularity of these lines comes from the introduction of systems and features aimed at maintaining the aesthetic and qualitative characteristics of the coils (line with loop) as required specifically by the market and by the end-product. These lines have been designed to handle coils intended for making structural elements for the car sector and feed presses with progressive dies. 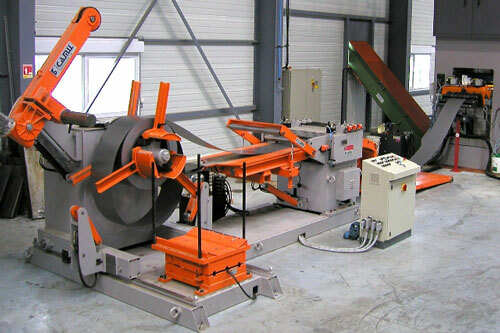 Specific systems are introduced into these lines for preparing coils in hidden time and, if requested, capable of cutting sheet to length for feeding transfer dies. The coils can be treated by levellers specially designed for eliminating internal stresses and for obtaining high piece quality as requested by the quality standards in the automotive sector. Lines specially designed for production using fast presses. Systems that maximize the performance of the feeder are introduced into these lines as requested by the specific market. Lines specially designed for working coils intended for precision production. The coils can be treated by levellers specifically designed for eliminating internal stresses and for obtaining the high piece quality requested by the quality standards in the sector. The solutions can be diversified on the basis of the specific machining needs. CAMU is always able to ensure a painstaking study of the best solution and maximum flexibility of use. – greater productivity, thanks to functionality designed for transforming the tonnes of material in the high-quality finished material warehouses. A cutting-edge electrical system which is the key for increasing total performance and automating the functions that were traditionally carried out by the operator only. – greater flexibility, necessary for machining a vast range of materials. Thanks to modular design too, the line can further increase your business through the addition of electronic and mechanical updates that are capable of transforming it into a new plant for working different coil sizes and types of material. – the reliability of CAMU products is known and constitutes a real jewel in our crown. The machines and machining lines have been designed with the utmost care to strength and resistance over time. The reliability and low maintenance requirements, along with the use of standard market components, permit an appreciable reduction of operating costs and optimum productivity. In the case of scheduled maintenance operations or the replacement of worn parts, CAMU design makes it possible to reduce dead times thanks to construction in modular groups that are fast and simple to replace. Ready to answer, ready to solve!